A £92m investment programme into the Newcastle and Gateshead’s 80 hectares Accelerated Development Zone is stimulating business and job growth. With increasing demand in the city there is a world of opportunity. Key development sites include Stephenson Quarter, East Pilgrim Street, Newcastle International Airport Business Park and the North Bank of the Tyne. Providing opportunity for office, residential, retail, warehouse and distribution developments. In Newcastle we have a strong working partnership between the private and public sector, supporting and accelerating the development and growth of the city. Our annual attendance at MIPIM Cannes, demonstrates this strong partnership, with joint ambitions for the city. 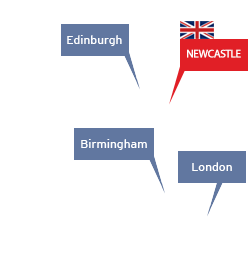 Our team can connect you to local project managers and DIT, providing a UK-wide overview. 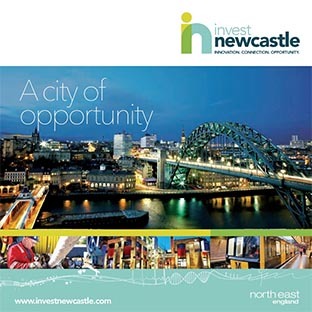 If you see the potential in Newcastle, get in touch now.